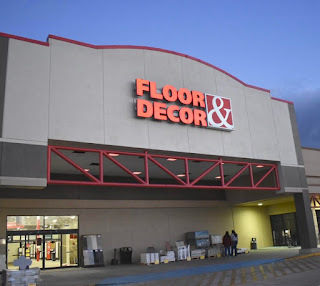 As some of you saw (through my IG stories) last week I announced a new and exciting partnership with Floor & Decor !! 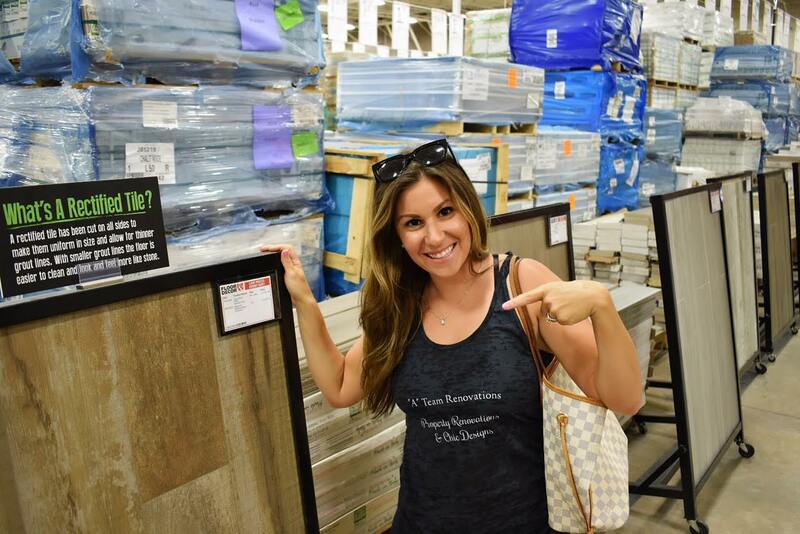 This has been such an exciting step in not only my blogging career but in our design and renovation business! 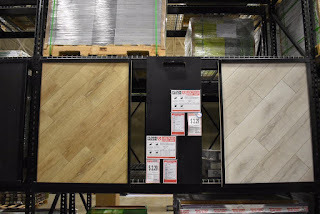 Floor & Decor is one of our favorite places to go when we search out backsplashes and flooring! 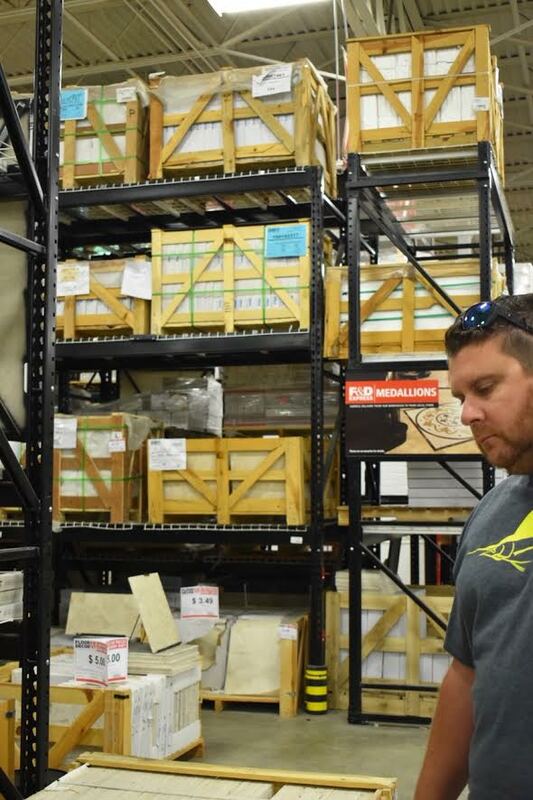 Last week I got the opportunity to get a private store tour of our local branch. I learned about some awesome programs they offer and even some new exciting products that I know you all will love!! Let's get to it! 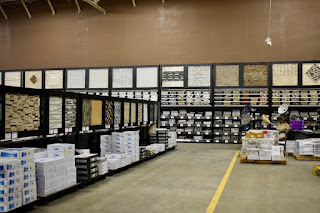 If you have never been to a Floor & Decor just imagine a designers candy shop...the size of a warehouse! 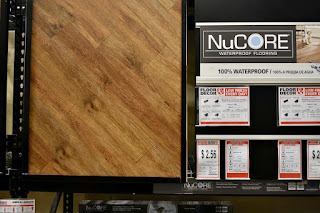 They offer so many types of backsplashes it's craziness! 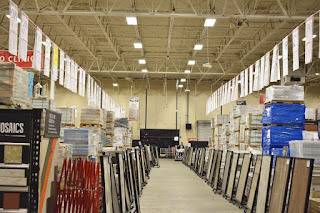 (The pic above is literally one aisle of them...now imagine about six rows more!!) At the same time the employees are right there to help direct you so you don't feel overwhelmed! 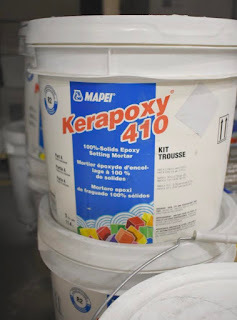 Each section of the store is easy to navigate and most products are ready and in stock!! They offer you top quality products all at rock bottom prices! 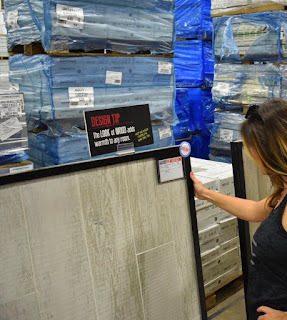 If you are not sure exactly what you want for your space they have complimentary (YES) designers that can work with you to plan your dream space! How awesome is that?! 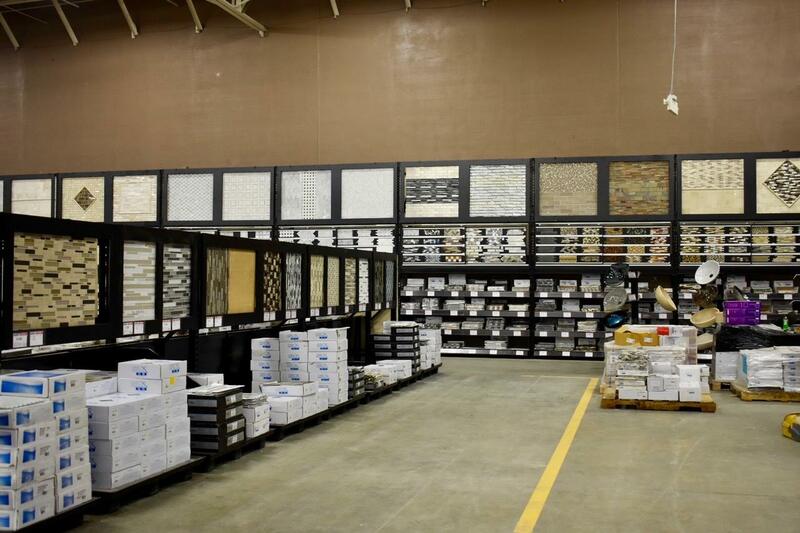 Floor & Decor offers homeowners and professional contractors access to such a wide selection of tile, wood, stone plus all the related tools and flooring accessories! They were founded in 2000 and the main headquarters is located in Atlanta! 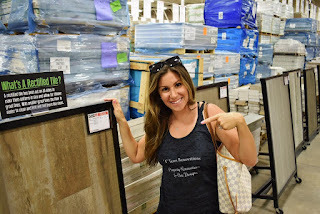 After starting off our tour in the backsplashes we headed over to flooring. You all know how much we love using wood ceramic tiles for our properties and Floor & Decor literally has aisles full of choices in all price points! 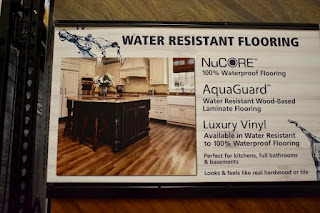 I get asked a lot about waterproof and/or water resistant options when it comes to flooring in the kitchen and bath. 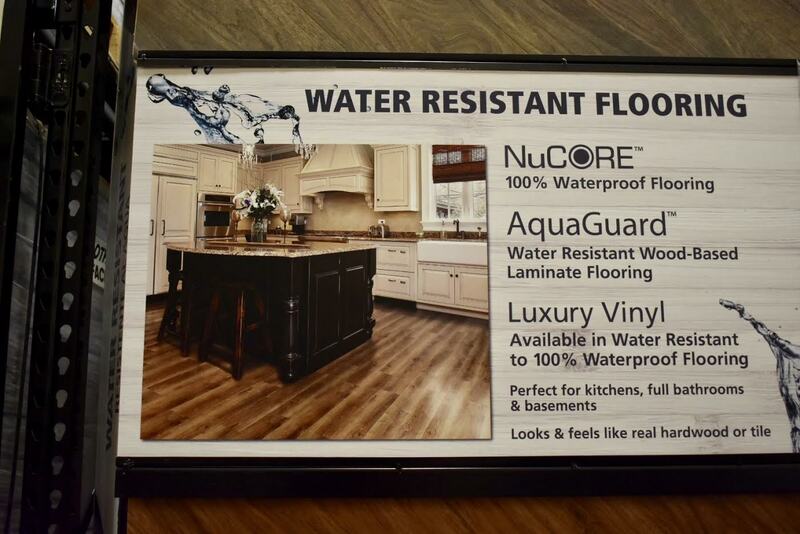 I found this product they sell called AquaGuard to be a great alternative to tile! 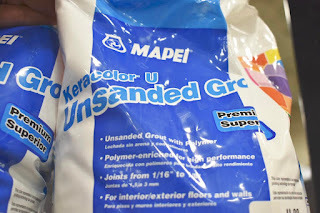 They have options for both and I was surprised at all the amazing colors and textures they had! 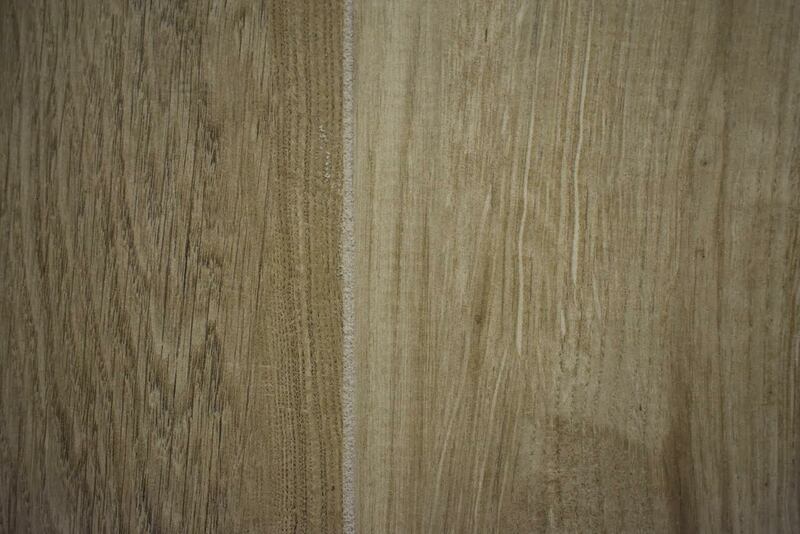 They also had a large selection of laminates! 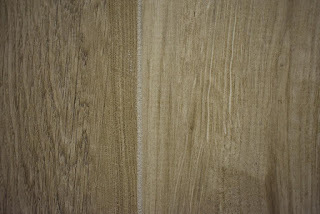 You know how impressed I am with wood laminates these days! These were two of my favorites! If you have been following along you know that our newest project has a modern/beachy design plan. 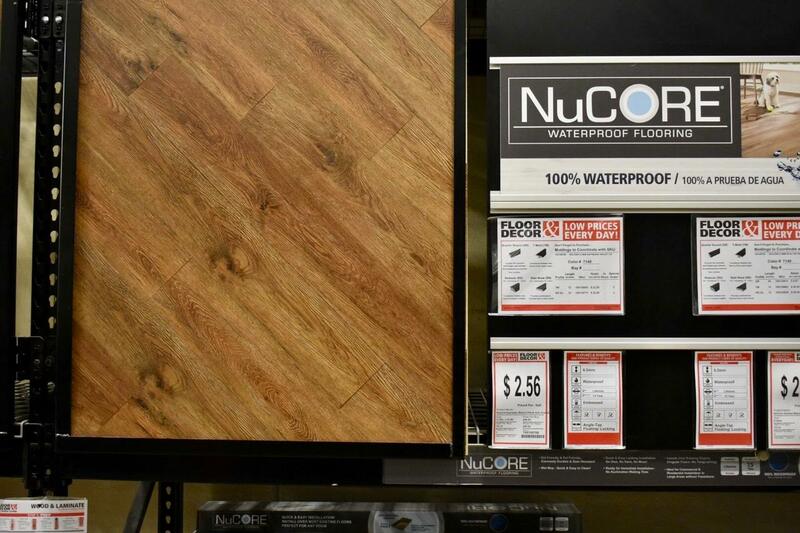 We decided to once again go with a wood ceramic tile throughout the entire property. 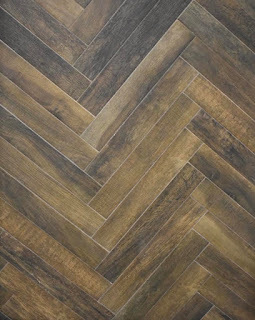 There isn't a lot of light in the dining room/family room combo so I wanted to choose a lighter floor. I fell in love with this whitewashed look! I saw this display and had to share! 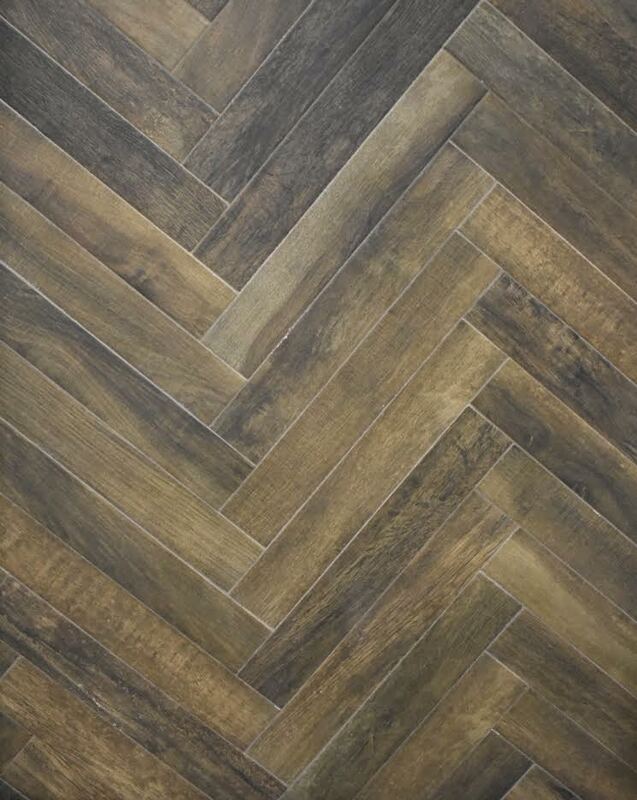 Herringbone dreams!! Once we finished searching out the flooring we headed into the stones. Obviously this is where my paver guy had all the questions! 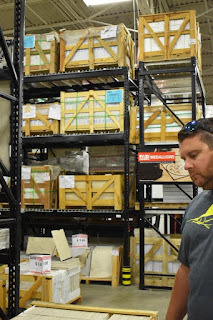 Elton was so impressed with all the stone/travertine/paver selection they had! 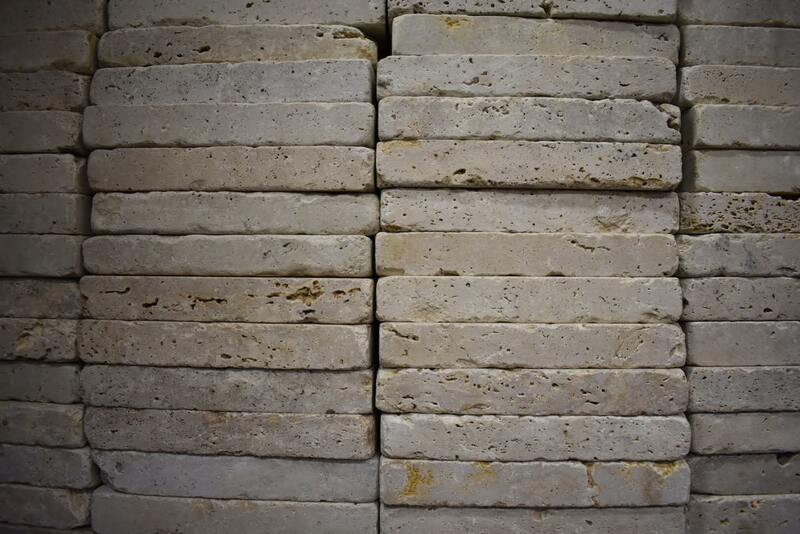 We even found our new travertine patio stones that can be difficult to track down because of the thickness of them! Oh my gosh you guys! Most people would see marble window sills here but I saw DIY projects!! 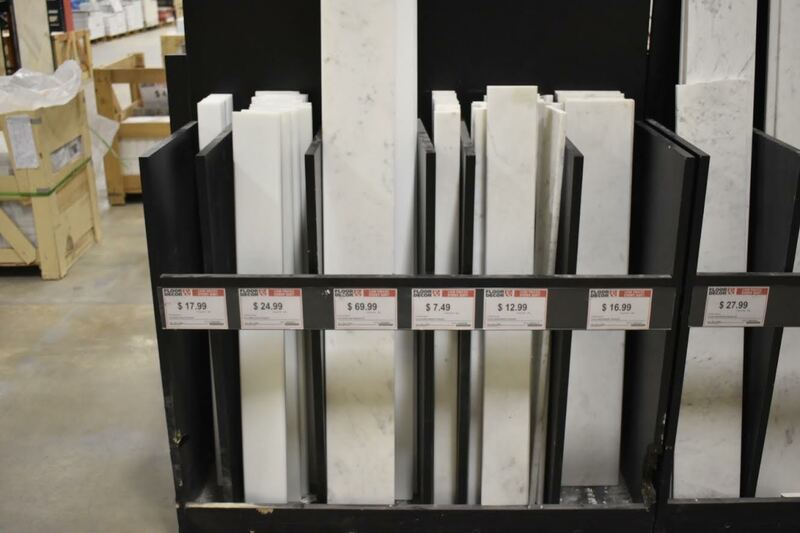 Creating marble shelves made simple!! Plus check out those prices! I have decided to designate an entire blog post to the simple steps of installing a kitchen backsplash! Currently the project kitchen is gutted and now all the fun can begin! 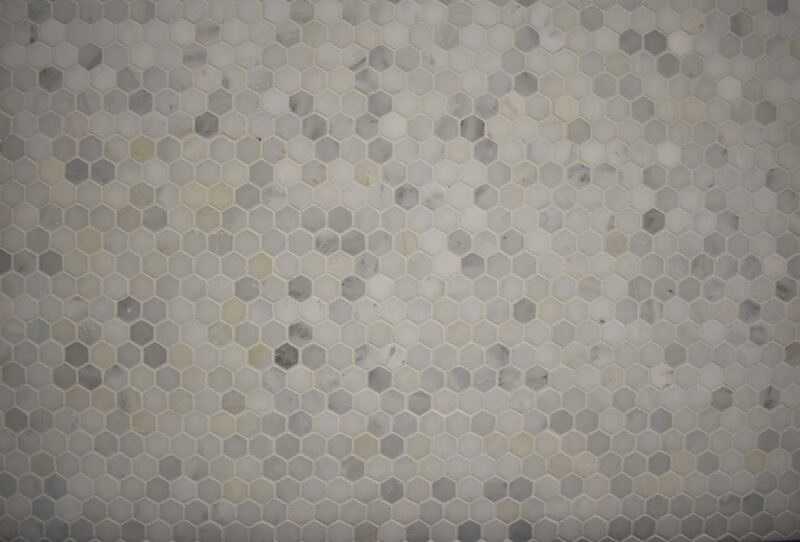 The backsplash we have chosen for the kitchen is this carrara white hexagon marble . 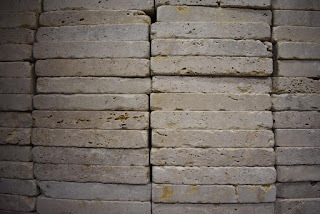 I think this will look perfect with white cabinets and adds some fun beachy flair! 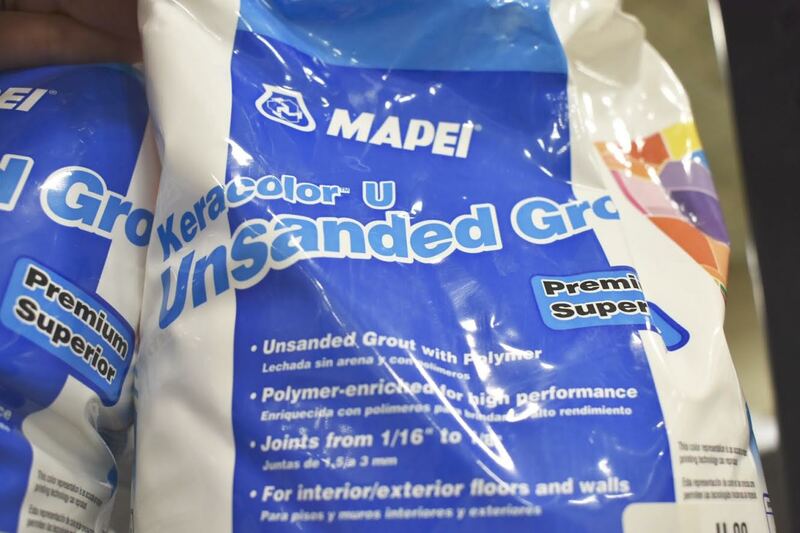 The materials neede to along with the backsplash are the epoxy setting mortar and the unsanded white grout! 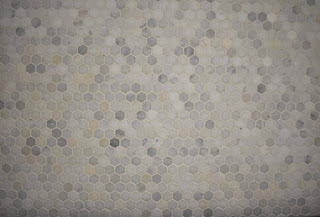 Depending on your taste they have lots of grout colors! I'll be updating progress on Facebook and Instagram all month! Floors and paint should be done by next week and then we can begin working on the kitchen! 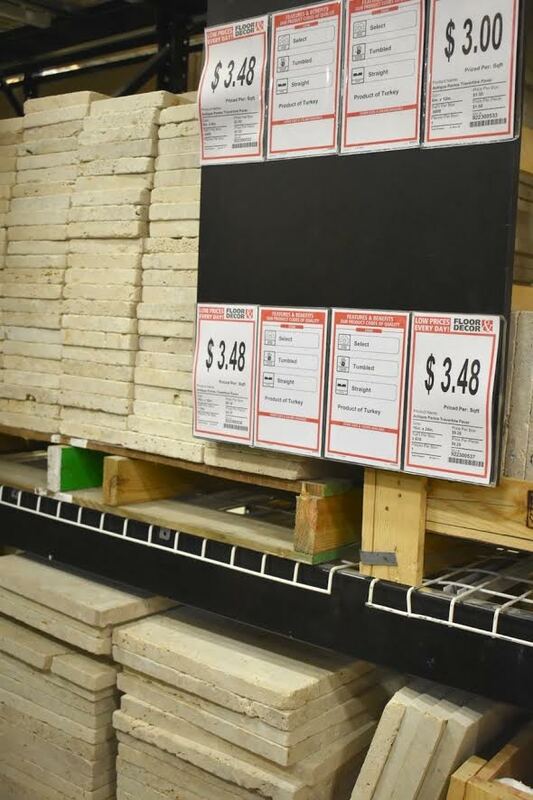 Be sure to check back to see the blog post on how you can DIY your kitchen backsplash!